We recently discussed the 15 Key Elements All Top Web Sites Should Have. This post focused on elements relating to design, content and development. This time, we’ll move onto the important issue of Search Engine Optimization (SEO). SEO is such a hot topic these days. How do you get your web site within the first page or two of the search engines? How do you increase your Google page rank? There are companies who dedicate themselves full time to doing SEO at a pretty penny. Something a lot of people can’t necessarily afford to pay for or spend the time on. Near the very top of a web site’s source code you’ll find various meta tags — the standard ones being the Title, Description and Keyword tags. The title tag is technically not a meta tag, though it is commonly associated with them. The title tag plays such a large role in the indexing of your web site, that it is considered the most important of the three. A page title is the first thing a search engine will look at when determining just what the particular page is about. It is also the first thing potential visitors will see when looking at your search engine listing. It’s important to include a keyword or two in the title tag — but don’t go overboard – you don’t want to do what’s known as “keyword stuffing” which does nothing but make your web site look like spam. 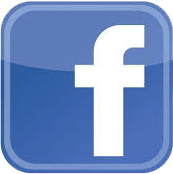 Most people will include either the company name, or title of the particular page here, as well. There are two primary meta tags in terms of SEO — the description and the keyword tag. It’s debatable whether the search engines use the description tag as far as ranking your results. However it is one of the more important tags because it is listed in your search result — it is what users read when your link comes up and what makes them decide whether or not to click on your link. Be sure to include a few relevant keywords in this tag, but don’t stuff it with keywords either. The description tag should read like a sentence — not a keyword list. Due to “keyword stuffing” many search engines now completely disregard the keyword tag. It is no longer nearly as important as it was years ago, however it doesn’t hurt to include them in your source code. When creating your keyword list, you’ll want to think of the specific terms people will type in when searching for a site like yours. Just don’t go overboard — too many duplicates are not a good thing (as in “web designer” “web designers” “custom web designer” “html web designer” “your state here web designer” – you get the idea). Those are all basically the same, so pick one or two variations at the most and move onto the next keyword. This is a very important element to consider when writing out your site copy. Use of heading tags helps users, web browsers and search engines alike know where the major key points of your copy are. Your main page title should use the <h1> tag — this shows what your page is about. Use of additional tags, such as <h2> and <h3> are equally important by helping to break down your copy. For one, you’ll see a visual break in the text. But as far as the search engines are concerned, it will automatically know what your topics are on a page. The various heading tags give a priority to the content and help index your site properly. Putting alt attributes on your images actually serves two purposes. In terms of SEO, putting a brief yet descriptive alt attribute along with your image, places additional relevant text to your source code that the search engines can see when indexing your site. The more relevant text on your page the better chance you have of achieving higher search engine rankings. In addition, including image alt attributes help the visually impaired who access web sites using a screen reader. They can’t see the image, but with a descriptive alt attribute, they will be able to know what your image is. 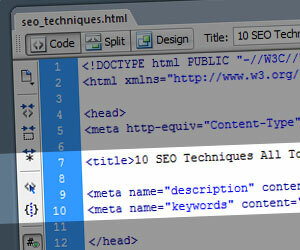 Including title attributes on links is another important step that any good web site will have. That’s the little “tool tip” that pops up when you place your mouse over a link. These are especially important for image links, but equally useful for text links. As a note, you should use descriptive text for your links. “Click here” doesn’t really tell a person – or more importantly, the search engines — what the link is. At the very least put a title tag that will explain that “Click Here” really means “Web Design Portfolio” for example. Better yet – make the main link text something like “View my web design portfolio” — this will give some value to the link showing that the resulting page is relevant to searches for portfolio’s. My last post referenced the sitemaps used by web visitors to help them navigate through your site themselves. However, there’s another version — XML sitemaps — that are used by the search engines in order to index through your site, as well. This list of ALL pages / posts / etc. of your site also includes information such as the date the page was last modified, as well as a priority number of what you feel the most important pages of your sites are. All elements that help the search engines properly find and link to all content of your site. Having content relevant to your main page or site topic is perhaps the most important SEO aspect of a page. You can put all the keywords you want in the meta tags and alt image tags, etc — but if the actual readable text on the page is not relevant to the target keywords, it ends up basically being a futile attempt. While it is important to include as many keywords in your page copy as possible, it is equally as important for it to read well and make sense. I’m sure we’ve all seen keyword stuffed pages written by SEO companies that honestly don’t make much sense from the reader’s point of view. When creating your site copy, just write naturally, explaining whatever information you’re discussing. The key is to make it relevant, and to have it make sense to the reader. Even if you trick the search engines into thinking your page is great — when a potential customer arrives at the site and can’t make heads or tails of your information and it just feels spammy to them — you can bet they’ll be clicking on the next web site within a matter of seconds. We’ve probably all heard of Google Page Rank — it seems to be every web site owner’s dream to have as high a page rank as possible. While the algorithm for determining page rank encompasses many elements, and is constantly changing, one item is the number of links pointing to your web site. Now, you’ll want to steer clear of link farms and other spammy attempts at getting links to your site. However there are many reputable and niche directory sites that you can use to submit your web site, or specific blog articles to. With genuine content — especially if you have a blog — you’ll be able to generate links with other web sites and blogs, as well. It’s somewhat of a give and take, in that if you link out to other sites, you’ll find sites linking back to you — and hopefully see your page rank going up, as well! Although technically not SEO, Social Media is such a growing factor in getting your web site noticed, that it’s an important element to include in your plan. Social media ranges from social networks like Twitter, Facebook and LinkedIn — to social bookmarking sites such as Delicious, Digg, StumbleUpon and many more. There is a lot of relationship building involved, but as you build your own networks and build quality content on your web site or blog, you’ll see traffic to your web site increasing, as well. As with any relationship, it is a give and take. Don’t just expect to join a site like Twitter for the pure sake of pushing your content. That just won’t fly — your true intentions will stick out like a sore thumb and do nothing but turn people off. Even if you are on the site purely for networking reasons, the key is to make friends. Help out members of your network if they ask for a “retweet” or Digg, give helpful advice if asked, etc. You’ll see the same in return. If you write a great post and have built meaningful relationships with peers in your niche, you’ll often find that friends will submit your posts and give you votes on the social bookmarking sites. The more votes you receive, the more likely your post is to be noticed by others and shared around, often resulting in additional link backs from other blogs, etc. Along with any list of Do’s come the Don’ts. As far as SEO is concerned, two of these items are splash pages (often consisting of a flash animation) and all flash web sites. Yes, flash is pretty! Full flash web sites can actually be amazing to look at — their own bit of interactive artwork. But unfortunately the search engines don’t get along well with Flash. Although there is talk of possible advancement in this area, for the most part the search engines cannot read Flash. All that great content that you wrote for your site will not be seen by the search engines if it’s embedded into a Flash web site. As far as the search engines are concerned, your all flash web site might as well be invisible. And if the search engines can’t see your site content, a good chunk of potential customers will miss out on what you have to offer, too. Equally as “pointless” are splash pages. Once very popular, the splash page should no longer be an important feature of any site. While splash pages used to serve as an introduction into a web site (often with a flash animation), it is no longer seen as helpful, and often times might actually annoy visitors. A good alternative to both issues is to make use of a flash header. There’s no problem to include a flash animation at the top of your main site, or as a feature within the content area, etc. Because this is an addition to your web site, as opposed to a full separate element.